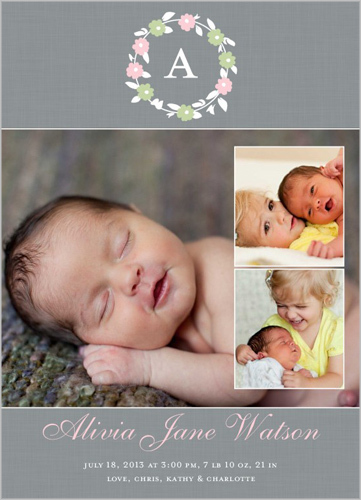 Pull pictures straight from a proud parent’s Facebook page to create this stunning personalized storybookfor baby. It’s a sweet suprise for the family when you gift it upon meeting the child. In this age of the modern family, parents aren’t the only ones in the room when baby makes his or her debut! 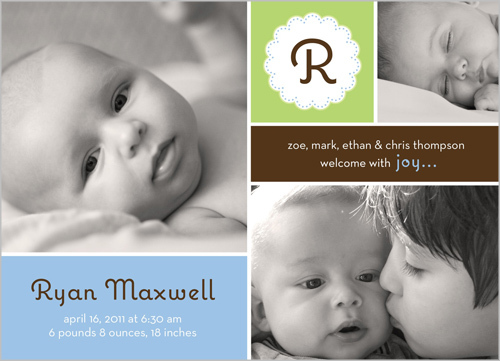 A birth invitation is a formal way of getting those closest to you enthused about attending the labor and delivery. Parents fret for months about choosing the perfect moniker for their child and often the story of how the name came to be is rather interesting. Include it on the back of the baby’s birth announcement. It’s tough to choose a single portrait of baby so don’t! Have each family member (older siblings included) select their favorite snapshot to create a collage announcement. Lots of fun things especially for parents. If you are the winner, you will need to have a Shutterfly linked email address. If you do not have one, set up an account at Shutterfly (it is free!). Once you have an account, share that you have one (you don’t need to share the email address)! I now have an account! If you win, what do you think you will get? Birthday invites? Family cards? Birth announcement? Comment with your choice. Entries will be accepted until Saturday, March 31 when I choose the winner. The winner will be announced Saturday, March 31. I will use them for my sons 1st birthday invites! I would probably make birthday thank you cards for my daughter for her 1st birthday party! I am a follower of Chronicles of a Babywise Mom. I would get birth announcements! I have a shutterfly acct! I think I'd use them for family cards! I have a shutterfly account! I would probably use it for photo cards or birth announcement! I LOVE my Shutterfly Account! My daughter's birthday is coming up so I think I will get some bday invites! Love Shuttefly! i have a SF account! I like CofBM on FB! I updated my FB status with this giveaway! I already have a Shutterfly account. If I win I would probably get family cards. I would get bday party invites if I won!